Also referred as roof light conversions. 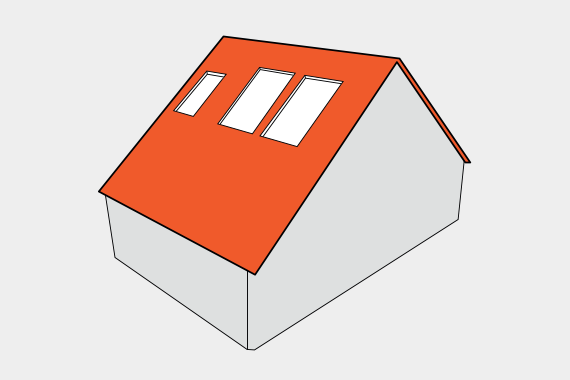 Velux windows installed to rear and front of property with no exterior changes to the roof design. An opening is created to the rear or the property and a protruding half box is built to house windows or Juliet doors. Velux windows installed to the front property for extra sunlight. Although the roof appears flat, it is tilted to allow for rain to flow away freely. 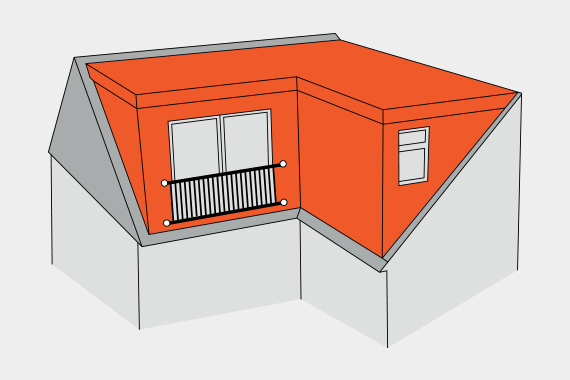 An opening is created to the 2 rear sections or the property and 2 interconnecting protruding half boxes is built to house windows and doors. 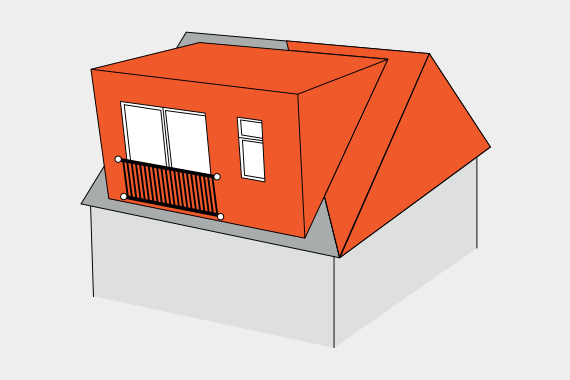 End of terrace property demonstrated with hip roof in pre‐construction (in white). 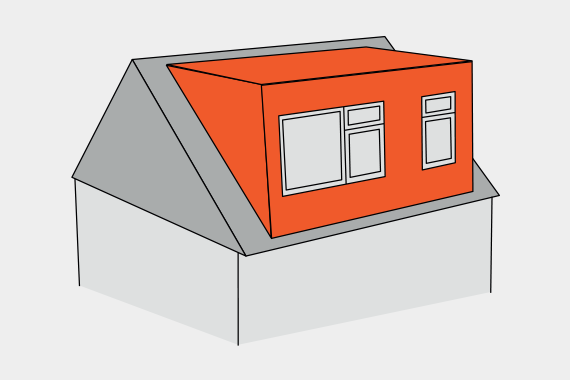 Hip to Gable illustrated in grey showing a vertical wall created to usable extend floor pace. Dormer installed post hip to gable by installing a protruding half box to the rear of the property. 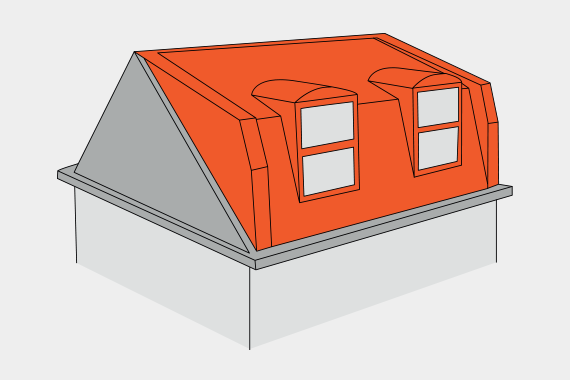 Although the roof of a Mansard is looks horizontal, it is in fact slightly tilted to allow rain fall to flow away freely. The vertical drop is usually angled at 72 degrees with small protruding box windows. This is the unique style that makes it a Mansard loft.